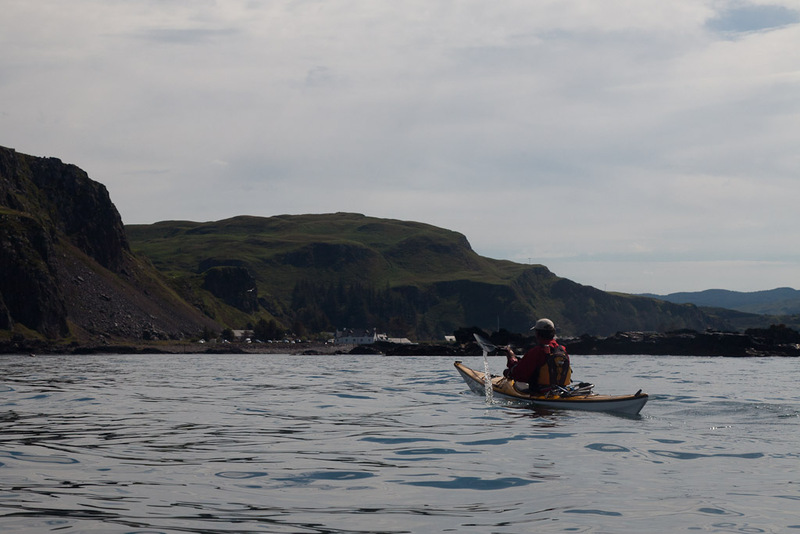 Sea kayaking with seakayakphoto.com: Remember to take your tide tables to Seil. Remember to take your tide tables to Seil. ...been keeping a close enough eye on our transits and the big spring ebb carried us down the Firth of Lorn past the island of Easdale. It was now approaching midday and the forecast SSE F4 to F5 wind arrived. By now we were in the lee of the former slate worker's cottages on Easdale. The wind whipped across the flat water in Easdale Sound but we were not concerned. However, out in the open Firth of Lorn a steep wind against tide sea soon built up. Our early start had been well worthwhile. All too soon we landed on a slate beach at Ellenabeich and loaded the boats onto the trailer for the journey home. This corner is a recognised launch spot but whatever you do don't leave your car here or drive it on the grass. This will upset one of the local residents. There is plenty of parking just a short walk away. This is a great part of the world for an overnight trip but it is equally suited to everything from day to multi week trips. 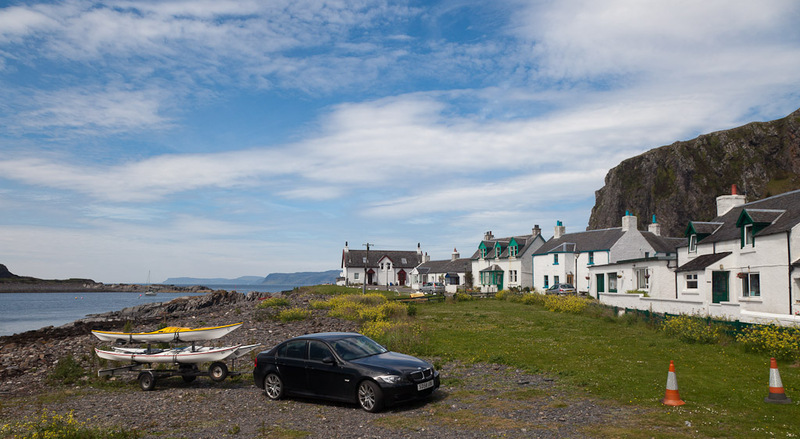 The strong tides and variety of islands in the area (not to mention large car park) makes Ellenabeich on Seil one of premier sea kayaking embarkation points on the West Coast. Just don't forget your timetables. 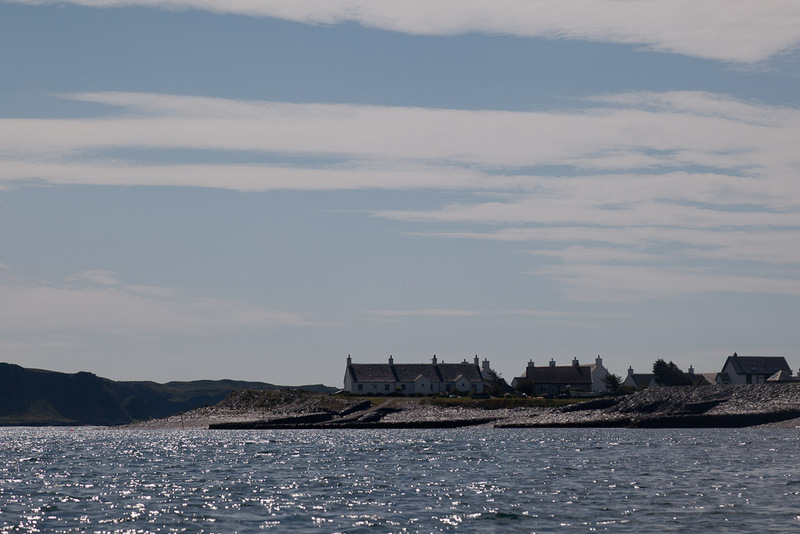 We used the height of the spring ebb tide to take us SW down to the Garvellachs. 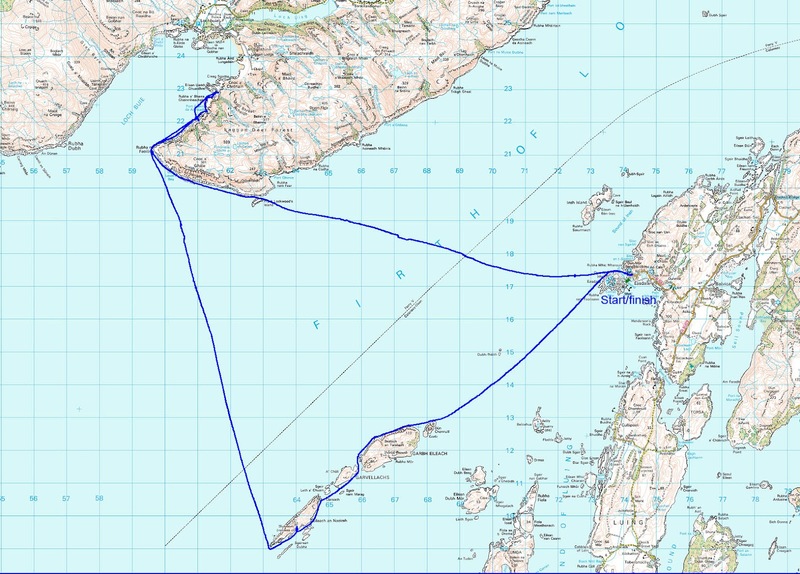 We then ferry glided across the NE going flood, using it to carry us NNW to Loch Buie on Mull. The following morning we left Mull on the last of the NE going flood but were caught by an increasing SW going ebb as we approached Seil, which explains our "S" shaped course. In the area HW is morning and evenings at springs and midday and midnight at neaps.